I was awake from early this morning – not because I wanted to follow the cricket but because of the wind which was whistling around the Granary. (The cricket was a bit of a parson’s egg: Durham players took seven of the Australian wickets with Ben Stokes claiming six of them, but Australia have a healthy first innings score.) The wind was the loudest I have ever heard. 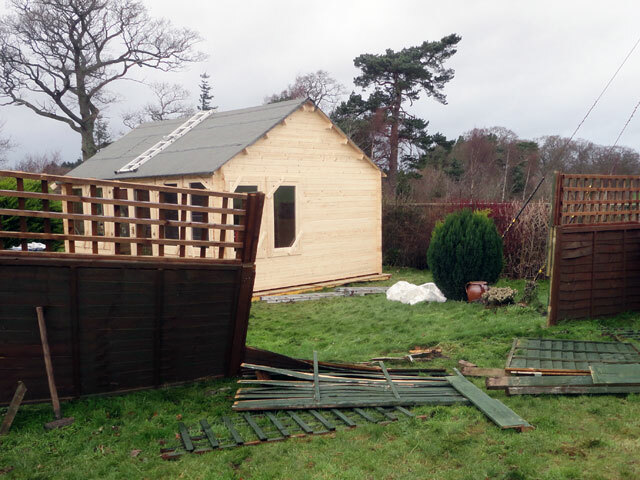 I had no concerns for the house and I wasn’t concerned about the fence because I knew it would go, but how would the summer house fare? In the event it was perfect and, as I expected, the fence was blown away. 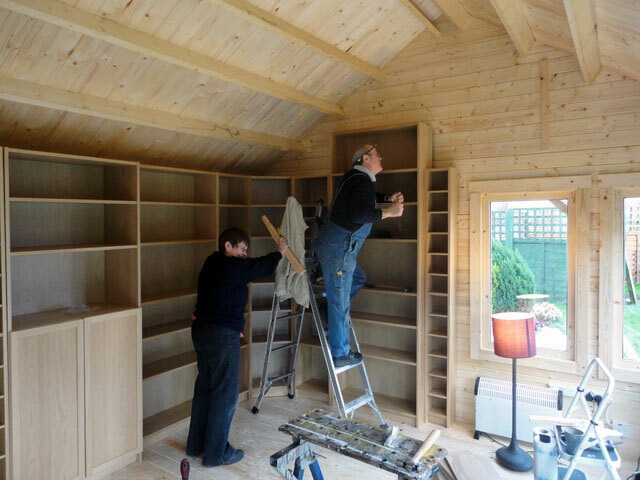 After breakfast Tom and I started work on the completion of the bookcases in the summerhouse. Rachel came and joined in and the task was completed in time for a late lunch. In the afternoon we set about sorting the fence. Well, that’s not really true. We decided to abandon the existing fence we have repaired several times in the last three or four weeks. Instead we built a new fence using posts and wire designed to keep in sheep. We built it in a new direction so that it was no longer face-on to the prevailing westerly wind. How it will survive we shall have to see. After a bit of time learning to play my ukulele, Rachel and I went across to the farmhouse for dinner and following dinner, Mum and Olive came back with us to the Granary to watch the first part of Death Comes to Pemberley. We’ll watch the second part tomorrow evening but by that time I hope to have fixed and hung all of the blinds in the summer house. We walked the dogs. It is still extremely windy but evidently the winds will ease before returning in force next week. It is also extremely dark with no moon and few stars on view but it has been another satisfying and fun-filled day.